A bizarre view of right and wrong dominates America’s political landscape. Perhaps it was always there, but I watched it grow and intensify through my lifetime and now in the age of mass media spin, well, it smacks you in the face over every discussion that involves partisans. The media also breaks down issues using this partisan lens, to determine right and wrong, saints and evildoers. The President and Congressional leaders all fall in line with this bizarre, two-tiered system of determining right and wrong too. That leaves our judicial system, as our only hope for a sane, one set of rules for all view. Every American citizen should embrace one set of rules for all and be Americans first, partisans second. Our partisans have one set of rules for their side and a completely different set for their opposition. The Mueller report serves as an object lesson, if we choose to learn from it. President Trump and his followers eagerly embraced the parts of the Mueller report that clear Trump and his campaign of conspiring with Russians and they embraced Attorney General Barr’s determination that no obstruction of justice occurred. If President Trump did encourage other people to lie to investigators, as alleged, I believe that is obstruction of justice, so I disagree with Barr on this point. I don’t believe obstruction of justice rests on whether the target of the investigation is innocent or guilty of a crime. I think it rests on whether in a legal investigation, a target was trying to undermine the lawful investigative processes – for ANY reason. Trump may have been reacting to spin, trying to score political points or just wanted to thwart the investigation, because he believed it was unfair and a “witch hunt”. Trump’s actions are exactly like the Clintons view of investigations into them. Hillary has whined for decades that they are the victims of unfair “witch hunts”. The Clintons have worked tirelessly to undermine investigations of them. President Trump and his campaign were trying to acquire Russian dirt on Hillary and just because they didn’t succeed in conspiring with Russians in this effort, the underlying truth is they were totally open to accepting dirt on Hillary – from any source. Likewise, Hillary, her campaign and DNC lawyers actually did set out and, according to their claims, successfully acquired Russian dirt on Trump (the Steele dossier is Russian dirt on Trump). There is no difference in Trump or Hillary’s intentions to acquire Russian dirt and willingness to accept dirt from any source. Trump and the Clintons operate from a starting belief that the rules don’t apply to them and that whatever their goals are, are so important and the “witch hunt” they are facing is so “unfair”, that any means they take to win are justifiable. That’s the truth. Their followers and people with strong partisan views of either of them, start buying into this, “Well, just look at how awful the other side was acting, so no wonder they did X.Y,Z that skirted the rules.” Another favorite delusion partisans fall into is buying into the belief that the “enemy” is just so awful and the situation so dire (Flight 93 thinking, anyone), that we must support them, because if the “enemy” wins, America is doomed. It’s always “Anyone, but… that horrible “enemy”. This existential crisis thinking is leading America to lawlessness. If Trump or Hillary believe an investigation is just a “witch hunt”, then through legal efforts, they should try to make that case, but their belief about the investigation does not entitle or justify their undermining the investigation. We all must live under one set of rules in America, regardless whether a high-profile politician, under investigation, feels he or she is the target of a “witch hunt”. Under no circumstances is it okay for them to lie or encourage others to lie to investigators or bleachbit servers or destroy tens of thousands of emails under subpoena. We all need to take off the partisan blinders and stick to one set of rules for everyone. Friendly warning: This post is another warning about our scorched earth spin information war. In light of the Mueller report, not saving America from the spin war, I just felt like repeating my warning. The endless semantical musical chairs word game has frustrated me about American presidential politics since the advent of sophisticated spin operations began in the 90s. This same word game still frustrates me today. Perhaps my frustration stems from a childhood spent struggling not to stutter, struggling to spit out words, but most of all, devoting hours upon hours, reading the dictionary. I practiced trying to learn how to pronounce words and I practiced trying to remember what words mean. Of course, many words have multiple meanings, but with the spin word games, most of the effort is to redefine the truth, using slippery language to manipulate people into believing bold-faced lies. Spin is mostly bold-faced lies, deliberately used to dupe the American people. Sure, we all know politicians aren’t noted for their candor and truthfulness, but spin operations are mass media driven efforts to drive and control public opinion in America. Mass media serves as the battlefield for the cultural war in America. It’s doubtful that most politicians and the media, who serve as the foot soldiers battling forth in the spin war, even really realize they are fighting in an information war to control public opinion in America. The entire spin war runs counter to American free speech principles and assures corruption of all who engage in it. When you begin to go along with using “spin” to win, you’ve bought into deliberately manipulating Americans, deliberately spreading carefully crafted political messaging and deliberately working to confuse the meaning of words (mass media propaganda brainwashing operations). You’ve bought into deliberately spreading lies. If you embrace spin information warfare, you are embracing a march toward authoritarianism. Winning the spin war is to control public opinion in America via sophisticated control of mass media messaging (winning the spin cycles). The Left has owned the spin cycles in America since the 90s. The Right relied on Fox News, talk radio, online forums and formats, but the Left controlled all of the mainstream media avenues in America. I feel like a broken record repeating this, but American liberty depends on Americans, especially our leaders, understanding the dangers posed to American liberty by this endless spin information war. America is not only politically divided, but due to the effects of non-stop, scorched earth spin information warfare blazing across American media 24/7, it’s becoming more and more difficult to keep track of the spin, keep track of the corrections, keep track of which parts of reports were true, which parts were debunked and frankly, the amounts of spin starts destroying our ability to figure out the truth. If you watch MSNBC and CNN, you live in one hermetically sealed spin bubble. If you watch FOX, you live in a different hermetically sealed spin bubble. Much of what is reported, as objective news, inside either spin bubble is obviously biased, but the real insidiousness of spin comes with the pundits in these bubbles, who tirelessly spew out carefully crafted spin messaging, to herd and corral their viewers into remaining loyal, rabid partisans. Before Trump, the Left was winning the larger cultural war, and had owned the spin war for decades, afterall, they have dibs of being referred to as “the mainstream media”, while Fox news was dismissed as “Faux news” and talk radio was cast as the home of “dangerous, right-wing militia types, who should be regulated by the government”. Trump broke through the Left’s control of the spin in America and he did it by learning how to emulate the Clinton spin messaging tactics. He doesn’t have as sophisticated of a spin messaging strategy as Bill Clinton and his spin gurus, but Trump operates as a spin guerilla. He mastered rapid spin attacks that disrupt the Left’s carefully crafted spin attacks and his guerilla spin attacks often win the spin cycle (OODA loops). Trump followers are just like Clinton followers and Obama followers. They buy into the spin of the leader. They repeat the leader’s spin. They become emotionally invested in the leader’s spin messaging. Trump just like the Clintons and Obama relies on spin messaging to keep his following. They are all dedicated to deliberately lying to the American people to advance, first themselves, and second their political agenda. None of them has any respect and reverence for speaking the truth. None of them will save America from the reckoning that will come at the end of our scorched earth spin war. All three camps, with their media spin operators, are still engaged in corrupt spin messaging operations to cover-up their corrupt activities to win the spin in 2016. With American partisans entrenched in spin operations, it’s paramount for America’s leaders to recognize that SPIN info war is more of a threat to America than any one political leader or political party. Spin information war leaves America wide open to hostile foreign information warfare attacks. We have no means to protect ourselves from insidious foreign mass media efforts to fuel divides in America, when our American media is engaged running domestic partisan spin war operations. At the end of a scorched earth spin information war, America will be a totally balkanized country, easily defeated by hostile foreign organized sophisticated information warfare operations, and we could fall sway to abandoning large chunks of our liberty, out of mass panics incited by spin operations (both domestic or hostile foreign ops). Stopping this scorched earth spin information war, that is tearing the soul of America apart, remains vital to American liberty and to America’s future as a constitutional republic. Quite a gloomy prediction, here, but never fear, everyone in America can fight against spin info war – just stop buying into the politicians and media spin messaging efforts, start thinking for yourself and look for the truth. Sure, for some partisans, who have become mind-numbed spin robots repeating their side’s spin for many years, the spin detox might take a bit longer… almost like leaving a cult, but for most Americans, it shouldn’t be that hard to break free of the spin. Start thinking for yourself, instead of relying on other people to think for you. Have a good day, lol. Well, in 24 hours from now the Mueller report will have been released and rapidly dissected by partisans (especially those in the media charading as objective journalists), it will have been churned over on TV news for many hours, it will have been read and dissected in hastily prepared written pieces and of course, on Twitter it will have been spun continuously for almost an entire day. In the Twitter universe, that’s enough time for several complete spin cycles to launch, peak, be upended by a competing spin narrative, so who knows what the smart takes will be by this time in the wee hours of Friday morning. How people view Trump/Russian collusion probably rests on, not just partisanship, but on what parts of the past two years worth of spin people believe. In fact, many anti-Trump people, especially those who follow the anti-Trump media and believe it, will walk away believing Trump got away with being a Russian agent, no matter what facts the Mueller report finds. On the Left, many anti-Trumpers have bought into the mountains of anti-Trump spin, which were rapidly spun by the mainstream media, before going down in flames within 24-48 hours, as the stories fell apart. Many people ran with the pants on fire initial reporting and never paid attention to the debunking of those stories. On the Right, many of the MAGA Trump followers believe all of the Trump and Fox News spin, which casts Trump as the perennial victim of dastardly Leftists. These people ignore facts, whenever they get in the way of Trump as the victim spin and they conveniently disregard all the disturbing Trump behavior, like the petty name-calling, the impulsive policy shifts that leave his own staff scrambling to figure out what he meant, his fawning over the world’s despots and his relentless lying. My prediction is that not much will change in this entrenched domestic spin information war. Each side will pick and choose bits and pieces to bolster their spin narrative and each side will disregard any parts in the report that don’t bolster their beliefs about Trump/Russian collusion. I won’t be watching TV news, or be on Twitter or blogging tomorrow… but I might start reading the report, well maybe. 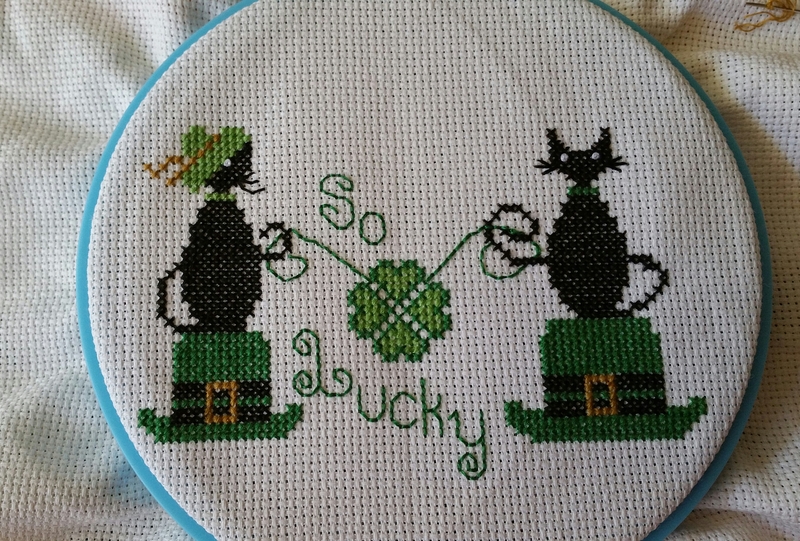 I am busy working on my cross-stitch lately. 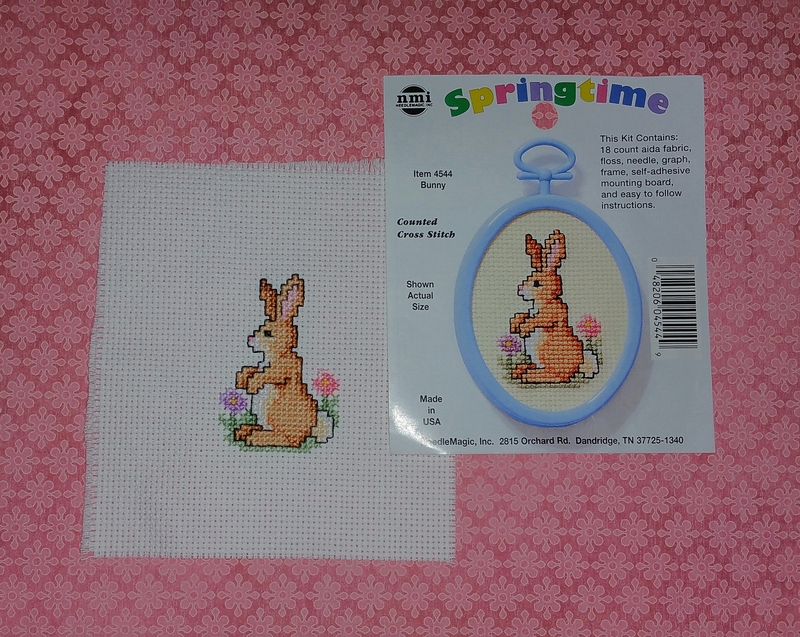 I also started stitching another small kit that I bought last summer when my husband was in the hospital. 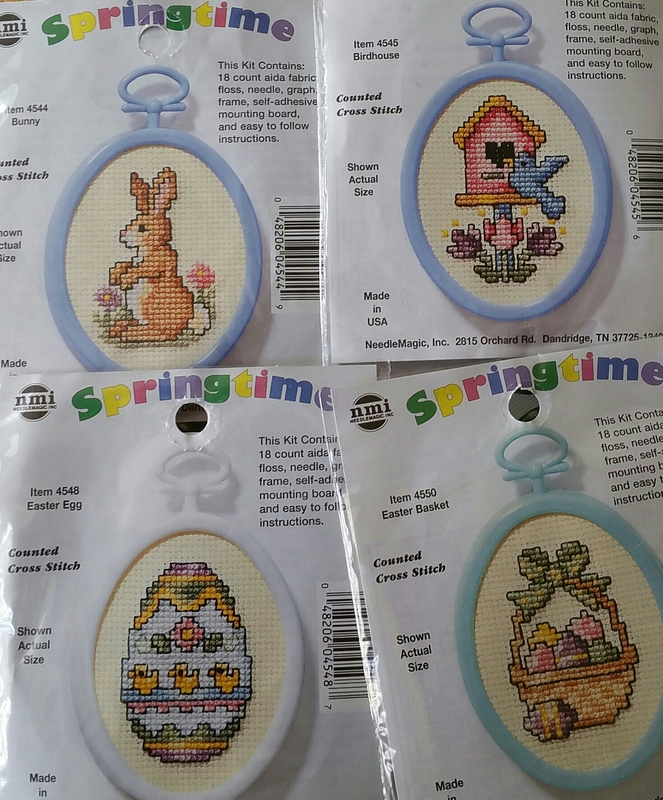 I took a trip to a Joann’s store to get a break from the hospital… and bought two more cross-stitch kits. And I have this Liberty Bell project too, but that one’s a struggle trying to work on with all the interruptions here, when my husband needs help getting to the bathroom, needs his meals, etc. 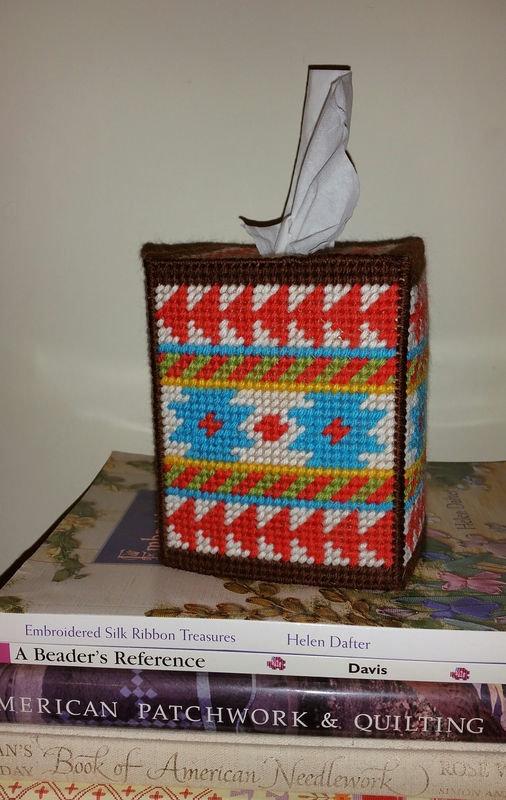 These small projects are easy to pick up and stitch a bit, throughout the day. Yes, it’s probably better to plan for small doses of news today and plan on “reading the actual report”. Most of the media blathering on won’t read the report, but they will be touted as having the smart takes on it. This post is just another lament about our endless spin information war, that’s tearing America apart. There’s nothing new in this post, but it’s what’s on my mind this morning. Living in a culture where the information we receive is controlled by mass media generated spin information warriors, waging full-throated media battles over words, truly decimates critical thinking skills. It also totally corrupts the people who engage in this spin war. Yesterday, during Congressional testimony attorney general, Bill Barr, uttered the word “spying”, referring to the, well, spying, on the Trump campaign, that took place in 2016, during the midst of a presidential race. Barr stated a team is investigating, to determine if the surveillance of the Trump campaign was predicated on sound intelligence and established policies. A “mainstream” (liberal) media and Dem politician outrage spin cycle erupted over Barr’s use of the word spying. Along with the demands that Barr recant, the mainstream media, along with many Dem. politicians, began a media character assassination effort to destroy Barr. They are out to destroy Barr’s personal credibility and preemptively discredit any negative findings that may emerge. The Dems and mainstream media engage in these orchestrated character assassination efforts, to personally destroy anyone, whom they deem a heretic, based on something that person said that challenges their control of the media spin or the political threat they feel that person represents. It wasn’t enough to express disagreement with Barr’s use of the word spying, instead the Dems and mainstream media launched an all-out smear effort to discredit Barr, so that whatever facts that might emerge from this investigation of spying on the Trump campaign will be rejected by the mainstream media and denounced as a partisan witch hunt… again. Trump borrowed the Clinton spin information warfare tactics, except he does not rely on political operatives to hone his spin messaging and to disseminate it to the media for amplification. Trump crafts his own spin messaging and engages with the mainstream media and Dem spinners directly, with his one-man show ad hominem attacks on Twitter or impromptu press skirmishes. Despite its lack of sophistication, Trump’s spin word games do corrupt people, just as much as the Dems’ carefully crafted deceptive word games do. All sense of decency and proportionality in reactions fly out the window in spin information warfare, where grossly misleading and downright dishonest information control the information battlefield (our American media platforms). Spin is a ruthless mass media information warfare strategy. That is the truth. Spin corrupts, not only our politics, with the incendiary word battles 24/7, it corrupts everyone who participates in it. The mainstream media and Dems want to destroy Barr’s credibility, to preemptively neutralize any negative findings the team investigating the spying on the Trump campaign may uncover. Stepping back from the legalisms, here’s the reality check on spin and those who embrace using spin information warfare – spin corrupts everyone. Spin distorts perceptions, it deliberately shades the truth in deceptive language and calculated word games. Spin radicalizes people into hostile partisan camps. Spin is designed to divide our country into seething enemy camps. While Trump’s spin tactics lack the verbal sophistication of the Dem’s and media’s carefully crafted messaging, it does serve to often hijack the spin cycle and dominate the spin battlefield. Who can control the spin is all that “winning” is in America politics. Spin information warfare is antithetical to American free speech principles. The more spin messaging you listen to, the more it clouds rational thinking. By design, spin messaging is meant to incite people, to push people to buy into rushed, prepackaged spin judgments and most ominous, it repetitively repeats politically packaged slogans and rhetoric (mass media brainwashing). All of those who engage in waging spin information warfare and, even those who listen to it, become corrupted. Spin corrupts people and it clouds rational thinking. Spin information warfare incites people to become reactionary thinkers and to make rushed judgments. Spin information warfare sows the seeds of American division and partisan hatred. I’ve said all of this so many times, but I felt like saying it again this morning. 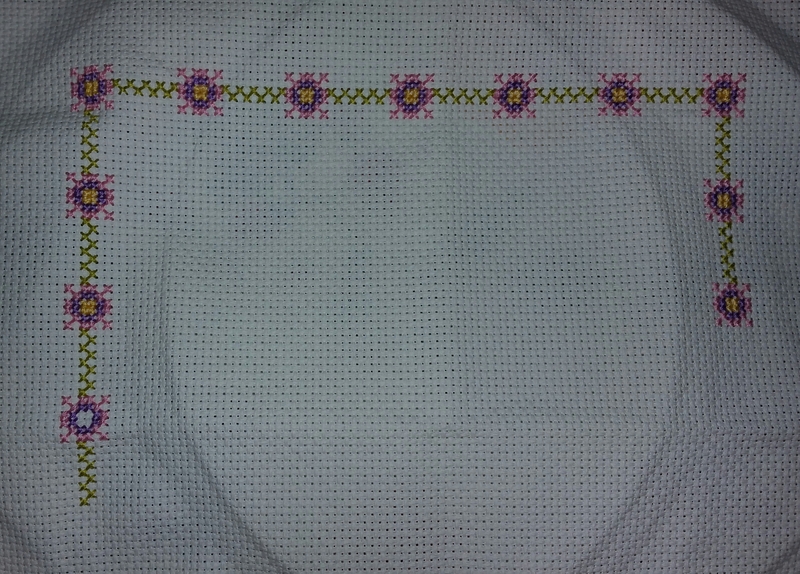 I’ll be spending some time today on stitching away on the cute Russian dolls cross-stitch piece. It’s a waste of time even writing about spin information war, when our political class, both left and right, and our media refuse to even recognize they are participating in a dangerous form of mass media information war, designed to tear America apart. We are sowing the seeds of our own destruction. Our constant hysterical political climate disgusts me. Trump’s constant braggadocio, petty attacks and rambling , fact-free word salads disgust me. The Democrats and media hysterical spin about Trump disgusts me. As far as political commentary or analysis goes, the various smart takes in 2016 remain the same in 2019, as our American political hamster wheel spins round and round. For the most part lately, I’ve gotten off the daily habit of tracking the partisan spin throughout the day. Perhaps if something interesting or new happens, I’ll write about it, but fair warning, the rest of this post will be another detour about my efforts to make peace between our consumerist culture and the myriad counter-cultural efforts to combat our wasteful American lifestyle. Last night I watched a short CNN video on Twitter about a fashion designer, zero waste daniel, who started a clothing design business using only scrap fabric waste. His approach of sewing together small scraps of fabric to create larger pieces of fabric, from which to construct his clothing designs, while being a trendy environmental-mindful concept, does highlight our society’s love affair with consumer goods, where most of us acquire way more than we consume and live totally unconcerned about our wastefulness. There’s a common mindset among more conservative Americans and the political right to dismiss everything coming from the liberal environmentalist echo chamber, but perhaps we should all try to be a little more open to listening and considering the merits of ideas, before making snap partisan political judgments. Many aspects of our environmentally conscious activism do stem from the political left, then take hold in American businesses, who react to the political activism. Many businesses respond to and embrace the latest politicized framing of appropriate environmentally conscious policies. This type of political pressure infuriates many on the right. On the merits, though, pushing all of the politics aside, being less wasteful, using less disposable packaging and taking a more mindful approach to our consumer habits seem like very traditional, conservative American thrifty values, that would even have appealed to Benjamin Franklin and most of our American founders. 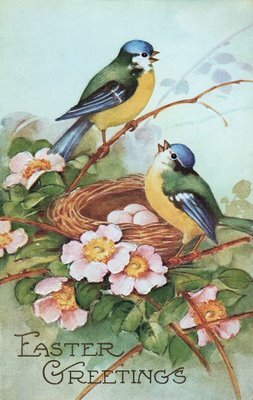 The less wasteful approaches definitely were ingrained habits to my parents and grandparents. 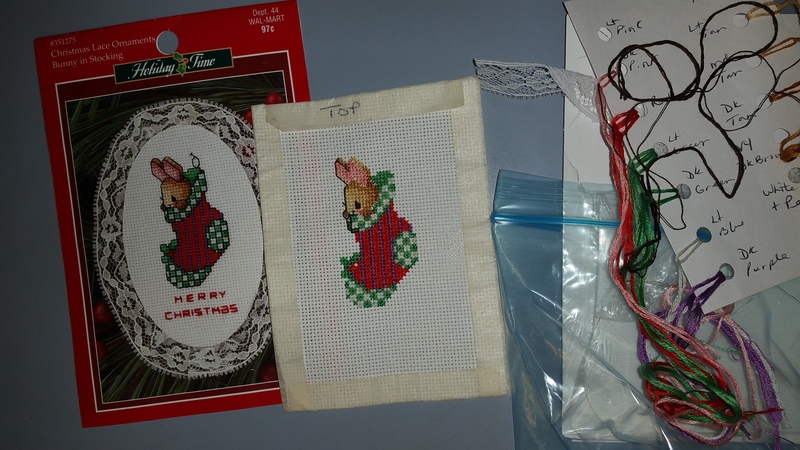 Moving to a crafting/needlework blog post, explains why I haven’t been blogging much lately… I have been stitching away… using all stuff that’s been sitting here for many years. I struggle with my consumerist mindset and am working to rethink my relationship with purchasing many items, that clutter up my home, and often have never been used. However, moving to a zero waste lifestyle takes way more commitment and effort than I will expend, so it’s small steps in my life. 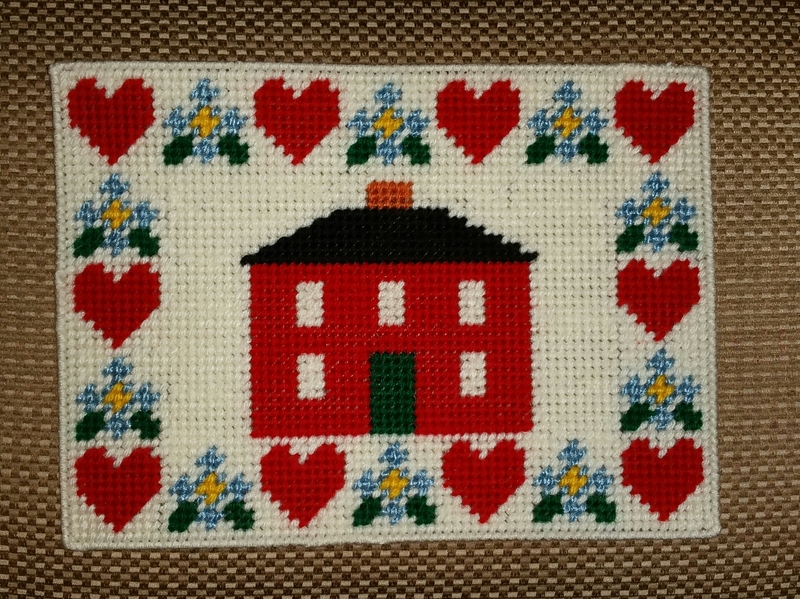 For decades, I purchased loads of craft and needlework supplies, without much concern or thought about the possibility of having too much stuff. Yet, the thought of parting with my craft and needlework stuff just isn’t happening yet, but I now strive not to buy more, unless it’s some basic supply that I really need. 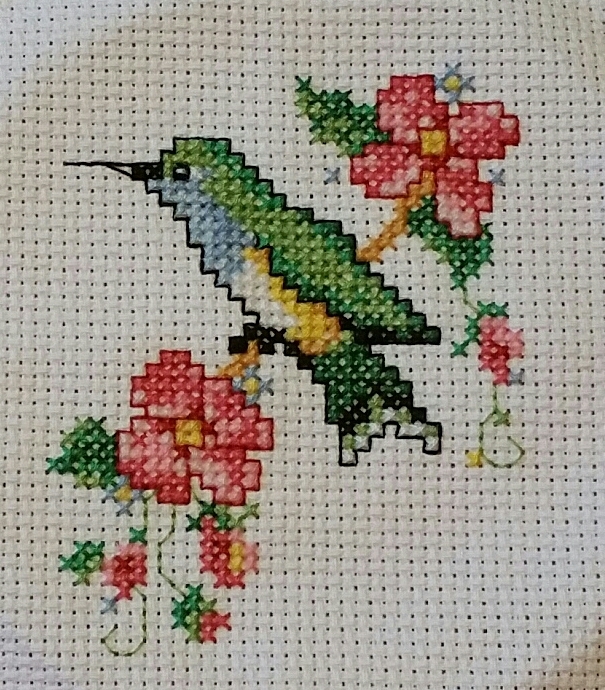 Learning more about finishing my needlework into some useful or decorative item leads me to read a lot of cross-stitch blogs and browse Pinterest frequently. 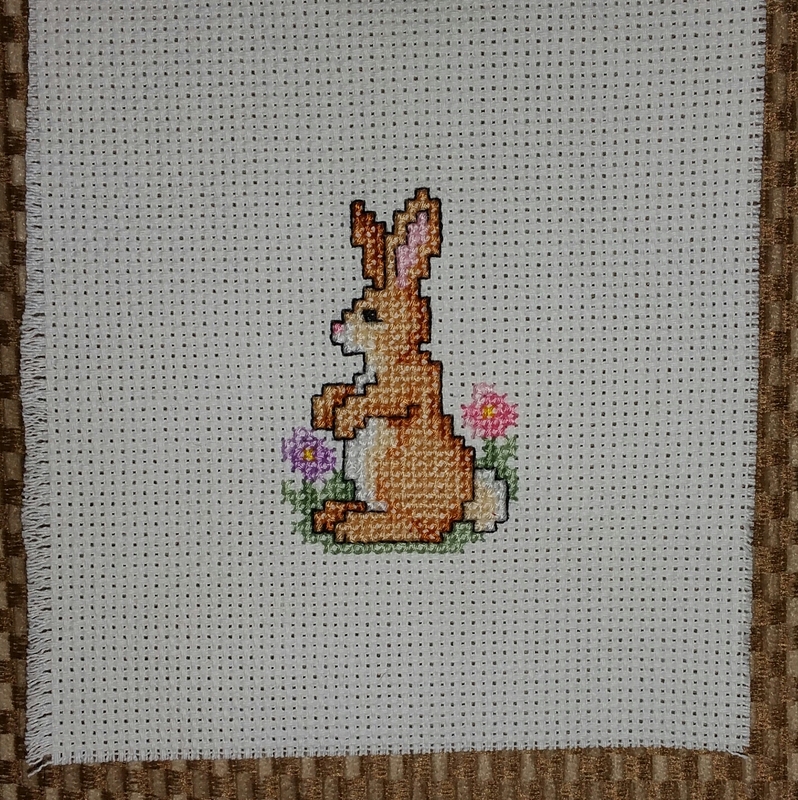 That habit leads me to want… more new cross stitch stuff, especially the nicer linens and evenweave fabrics and threads. 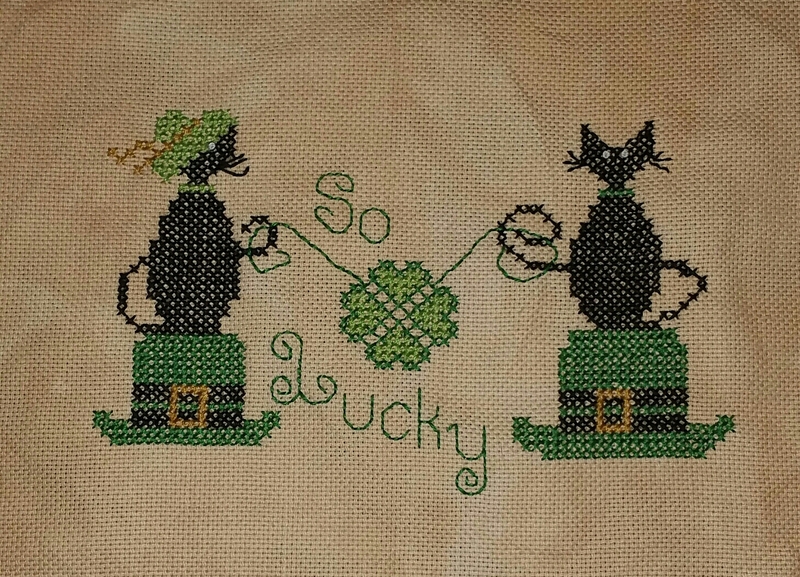 It takes a constant effort to remind myself that, while stitching on plain old Aida cloth isn’t as nice as stitching on expensive fabrics, these kits and Aida projects still look nice, I think. 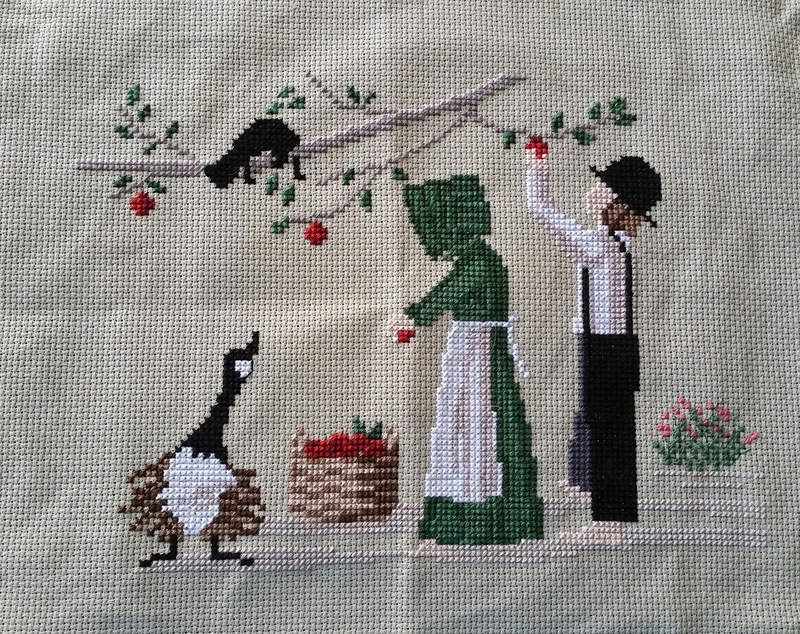 Yesterday afternoon, I was torturing myself looking at the blog of a very talented cross stitch designer, Brenda Gervais. All of her patterns scream, “I want to stitch that!”. Gervais wrote a short background story to her 2017 series, Summer Schoolhouse ~ Lessons in Abecedarian. She relates how she found a small children’s book while hunting for antiques, but it wasn’t just any old book. It was a copy of the oldest children’s book in the Library of Congress and it’s considered to be the oldest children’s book in print. This book contains the first documented use of the word, baseball. 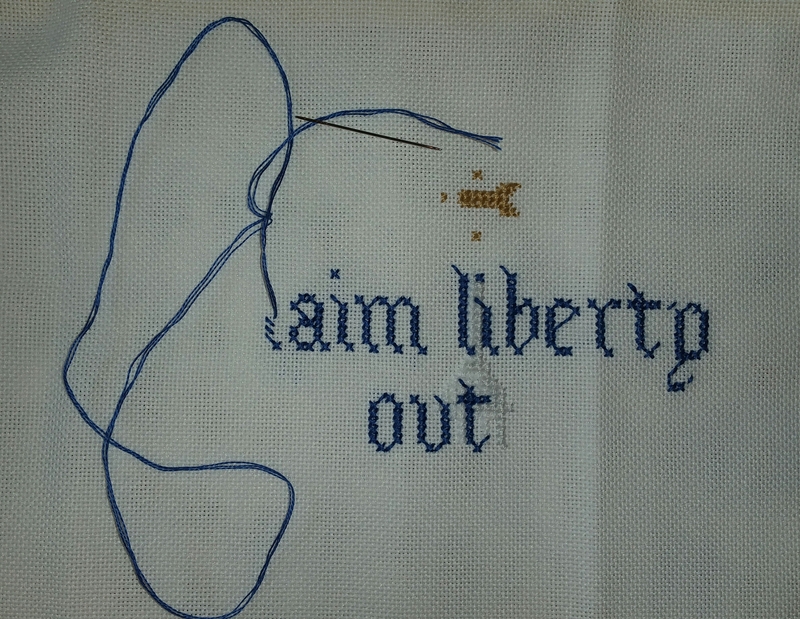 In the process of browsing cross stitch blogs, I learned a new word: abecedarian and a bit of historical trivia too. It’s very hard for me to concentrate on writing lately, but I’ll try to get back to politics soon.